Maybe because of the dip in auto sales, the cost of leasing a new car is going down this month. A report by Wantalease.com, an online car lease marketplace, finds the average monthly lease payment declined in June, pressured by three cars with payments under $150. 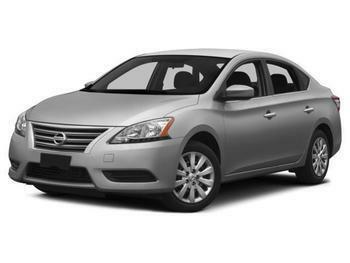 According to the website, the Nissan Sentra SV can be leased for as low as $109 per month. It says 15 vehicles carry a lease payment of $199 per month or less. The average monthly lease payment so far this month is $340.37, down from $352.80 in May. Wantalease.com says it keeps tabs on the monthly payments on 60 of today’s most popular makes and models. Small SUVs are the hottest vehicles in the marketplace at the moment, and three of them are currently available with payments of $199 a month. They are the Chevrolet Equinox 2WD LS, the Honda CR-V LX 2WD, and the Nissan Rogue S FWD. Among luxury vehicles – traditionally where most vehicles have been leased rather than purchased – the the Acura ILX is currently the lowest-priced vehicle in that category, at $219 per month. As for the biggest drop in lease payments from one month to the next, the Chevrolet Cab LT drives away with that honor. Its payment fell 16.8% this month, to $289. The Chevy Equinox 2WD dropped nearly as much and can now be leased for $199 a month. But whether a lease makes sense is determined by more factors than simply a monthly payment that fits into your budget. All leases have mileage limits, and going over them will carry additional changes at the end of the lease. If you drive more than 1,000 miles per month, you might consider purchasing a less expensive vehicle. You may also owe additional money when you turn the car in if has dents and scratches, beyond normal wear and tear.